Tue., 25 Jun. - Wed., 14 Aug. Thu., 20 Jun. - Sun., 23 Jun. Thu., 26 Sep. - Thu., 10 Oct.
Fri., 26 Jul. - Sun., 28 Jul. Fri., 19 Apr. - Fri., 26 Apr. See all 90 properties in Winnipeg James Armstrong Richardson Intl. 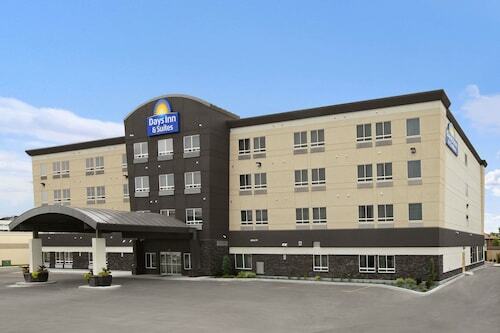 Situated near the airport, this hotel is 2.4 mi (3.9 km) from Polo Park and within 6 mi (10 km) of Winnipeg Art Gallery and University of Winnipeg. Masonic Temple and Outlet Collection Winnipeg are also within 6 mi (10 km). Situated near the airport, this eco-friendly hotel is 0.1 mi (0.1 km) from Kid City and within 3 mi (5 km) of MTS Centre and Polo Park. University of Winnipeg is 2.8 mi (4.5 km) away. Situated near the airport, this eco-friendly hotel is 0.3 mi (0.6 km) from Kid City and within 3 mi (5 km) of Polo Park and University of Winnipeg. Speedworld Indoor Kart Track and Western Canada Aviation Museum are also within 1 mi (2 km). 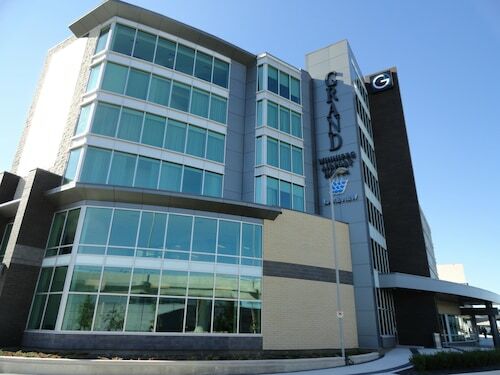 Situated near the airport, this eco-friendly hotel is 0.4 mi (0.6 km) from Kid City and within 3 mi (5 km) of MTS Centre and Polo Park. University of Winnipeg is 2.6 mi (4.2 km) away. Situated near the airport, this eco-friendly hotel is 1.2 mi (1.9 km) from Western Canada Aviation Museum and 2.5 mi (4 km) from Polo Park. Kid City and Speedworld Indoor Kart Track are also within 2 mi (3 km). Victoria Inn Hotel and Convention Centre is a 2-minute drive off Route 90, and a 4-minute drive from Winnipeg International Airport. There’s great shopping at nearby Polo Park, and Winnipeg's historic downtown Exchange District is only 20 minutes away by car. 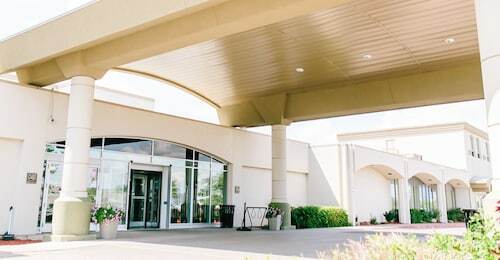 This family-friendly Winnipeg hotel is located near the airport, within a 15-minute walk of Speedworld Indoor Kart Track, Kid City, and Western Canada Aviation Museum. Polo Park and University of Winnipeg are also within 3 mi (5 km). 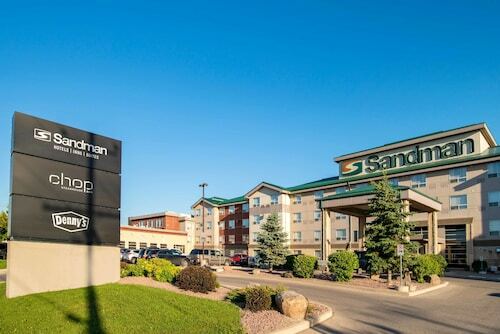 Situated near the airport, this eco-friendly hotel is 0.4 mi (0.6 km) from Kid City and within 3 mi (5 km) of Polo Park and University of Winnipeg. Speedworld Indoor Kart Track and Western Canada Aviation Museum are also within 1 mi (2 km). Question : What day of the week has the most flight time options? Answer : The day with the most departure times for this route is Saturday with six options. However, with only five flight times, Friday doesn't offer quite as many options when finding that perfect departure time. Question : How much is a plane ticket to Winnipeg (YWG) from Chicago (ORD)? Answer : Cost can range from $315 to $2,360, prices for ORD to YWG fluctuate less than most routes from the United States. Remember, the sooner you book, the better price you tend to get. Question : How long does it take to fly from Chicago to Winnipeg? Answer : United Airlines currently holds the quickest travel time with two hours and 24 minutes. So, you would arrive in Winnipeg at 10:04 PM CDT if you left Chicago at 7:40 PM CDT. Question : What is the cheapest date to fly to Winnipeg? Answer : As of Apr 15th, the best day for booking to Winnipeg (YWG) is Apr 18th. A ticket will put you out $394, which is 43% less than the average price to book the same route. Question : Which airline has the least delays from Chicago to Winnipeg? Answer : Booking with SkyWest Airlines means you will arrive to Winnipeg pretty close to the time your ticket states. In fact, this airline has a 66% on-time average. Of course, it never hurts to be prepared. If you’re on ExpressJet, be sure to sign up for the delay notifications to stay up to date with your flight’s status. Question : How long is the flight from ORD to YWG? Question : How many flights are there per day from Chicago to Winnipeg? Answer : The number of flight times varies by day of the week, but on average, ORD to YWG sees five different options. You won't have as many options on this route as most others departing the United States. There was a new flight attendant working the plane by herself and she was terrific. The flight was VERY cold. There was cold air blowing on my feet and my feet were freezing by the end. We told the attendant but nothing changed. Flights were delays due to bad weather on Ohare. The United Rep (Jared) in the Charleston Airport was outstanding in rebooking and making sure I could make my way home. Thanks !!! Seat comfort was brutal. Worst seating experience of any of my travels. Waited at the gate for nearly an hour while a lightling storm passed, then we were waved in. The CRJ 200 used on this flight is really small! At 6’7” I have to bend over to get down the aisle and the seats are very narrow with limited pitch. Delay at Winnipeg airport to get passengers off!! I left my iPad in the seat pocket and one of the pilots came to the jet bridge and asked who was in seat 21A and gave it to me. It was flight 5344 from Springfield to Chicago Nov.20. I was so greatful for the speed and vigilance of the crew. Many Thanks.